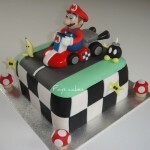 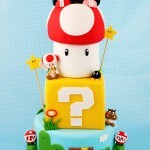 I’ve posted a couple of amazing Mario Kart cakes before such as this mind blowing Mario Kart wedding cake, but as far as a Mario Kart cake that is just focused on the carts goes, this cake is the ultimate Mario Kart cake! 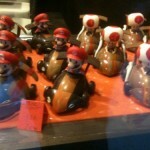 The level of detail, shininess, and smoothness on the karts as well as Mario and Princess Peach is amazing! 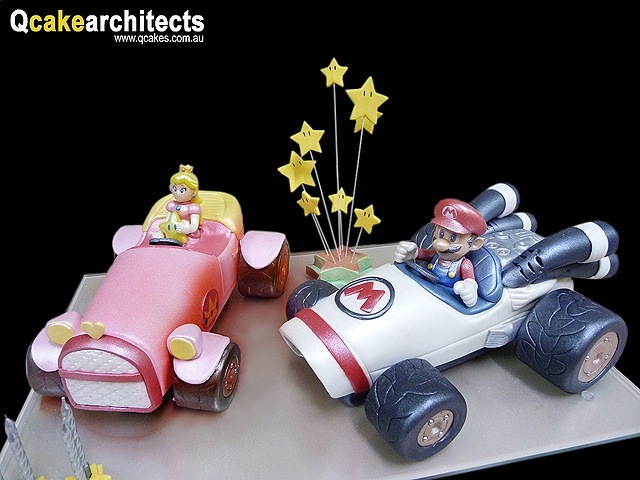 These fantastic Mario Kart cakes were created by Divalicious Specialty Cakes / Q Cake Architects and I don’t think they could have done a better job if they had tried! 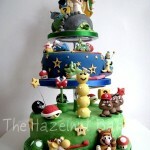 I don’t know what kind of occasion this cake was made for, but if somebody actually ate it, I frown upon those lucky people for eating one of the coolest looking cakes ever! 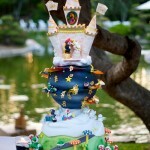 I’m just a little jealous.